Wood Products & Technology 2018 (“Trä & Teknik 2018”) is coming up around the corner. The fair starts on August the 28th and finishes at August the 31th. As usual the fair will take place at the Swedish Exhibition and Congress Center in Gothenbourg (“Svenska Mässan”). We at Skanditrä will of course be there and you will find us at stand C02:41. Skanditrä facilitates your entrance, please follow the link for registration and print-out here. We are delighted to present Robert Green as new recruited head of accounting & finance at AB Skanditrä. Robert comes from a position as a business controller at Atea. Robert will take over the responsibilities after Karl Pettersson and he had his first working day on August 14th. 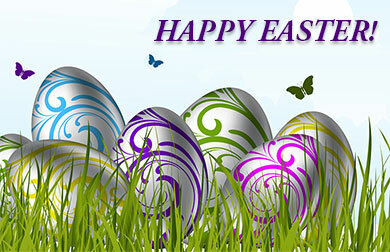 We wish our customers, suppliers and partners a Happy Easter! Skanditrä in cooperation with Telin are now looking for a Head of Accounting & Finance, for more infomation se link below. We wish our customers, suppliers and partners a Merry Christmas and a Happy New Year. 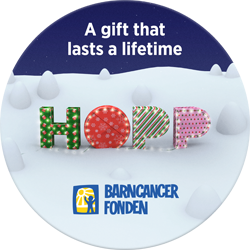 Instead of sending Christmas cards Skanditrä donate funds to the Swedish Childhood Cancer Foundation. Stockerau. The Romanian Competition Authority granted approval on 15 December 2015 – as of yesterday, 21 December 2015, the international JAF Group with headquarters in Stockerau is the new owner of Swedish company “Skanditrä” with headquarters in Kalmar. Skanditrä mainly focuses on trade in top lamellas and sawn hardwood for the parquet flooring industry. The main markets are Europe and Asia. The Swedish company was founded in 1941 and maintains an additional warehouse in Sopron/Hungary.